Jürgen Klopp described Liverpool's return to the Champions League semi-finals as a 'cool moment' and declared his side's 5-1 aggregate win over Manchester City a deserved result. 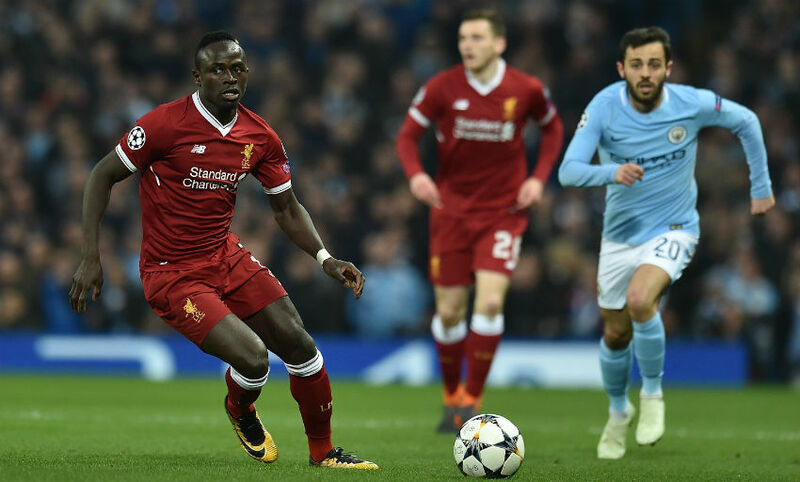 The Reds weathered a barrage of pressure during the first half of the second leg at Etihad Stadium and conceded within two minutes as Gabriel Jesus knocked a finish past Loris Karius. 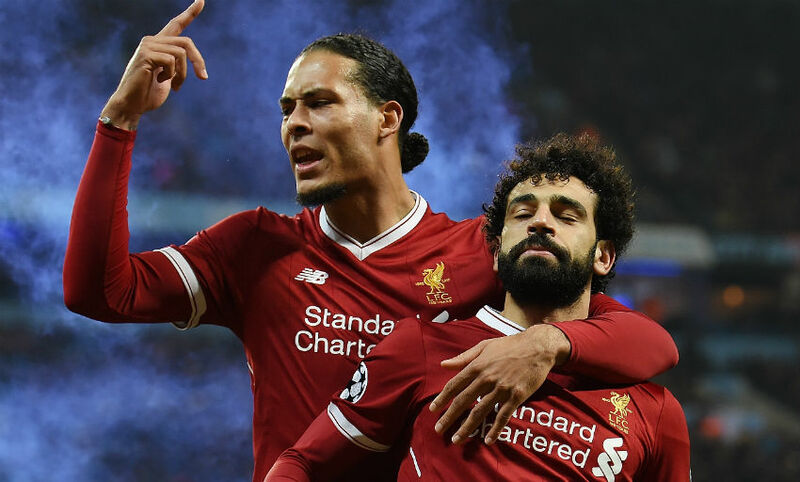 But having survived City’s onslaught, Klopp’s men slowly took control after the interval and Mohamed Salah’s 39th goal of the season left the hosts with a mountain to climb. The comeback never looked likely from then on and, instead, Roberto Firmino robbed Nicolas Otamendi and netted to give Liverpool a victory on the night. 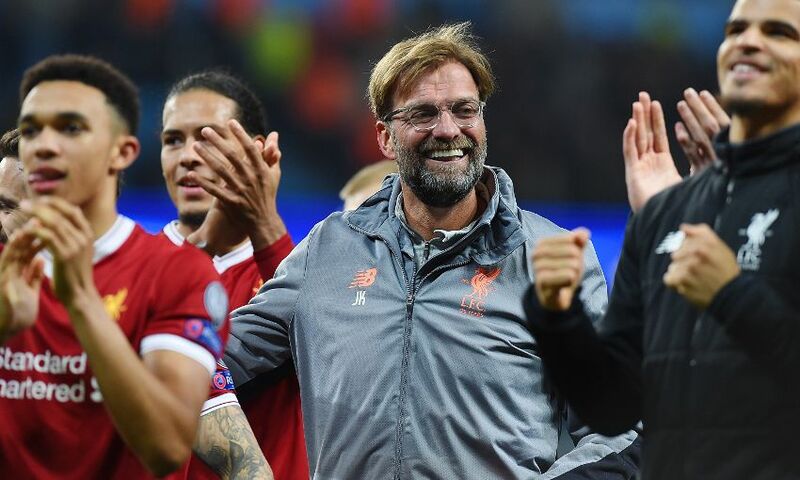 Reflecting on the triumph, Klopp praised the determination and conviction of his players, explained a crucial tactical switch and assessed the standard of the competition. We did it in the first half already, then we explained it a little bit better. Mo needed a little bit [of time] to come into the game and so we made the change already in the first half. The problem was not Mo, the problem was that because we defended so much under pressure, with the first contact we sent him into the next race [with the City defence]. It makes not too much sense to play one against two constantly, it’s not cool. But the boys found a solution and we had two or three moments in the first half; the best one was in the last minute of the first half. So it was easy for me and the boys to see the development of the game – we were already through the whirlwind. On the one hand side 1-0 was the worst start we could get, on the other hand the first question was already answered: yes, they can score goals and that will be difficult. I was not in doubt about that. You can imagine Pep was not happy with the [disallowed] goal; I didn’t see it so far. But over two legs and two games I really think we are deservedly in the next round. We scored five goals against Man City and we conceded one – these numbers are usually not possible. The boys did it, so I’m happy. No, I didn’t think about it. I have enough time now to think about it. It was not that I need these moments. At half-time we said that if we score a goal it would change the atmosphere slightly. That was clear from the beginning, it was the best thing with being 3-0 up, it was all clear. You saw the line-up of Man City – they took all the risk and it could have worked. 100 per cent it could have worked. But it was clear as well that if they cannot score enough then there is always a chance for us. I would have been nervous if we were 3-0 down at half-time but even then I would have known we’d have the chance to score one or two. I knew we’d have to change a little bit from the first half. We had to be more compact, win more second balls – to be more compact and then because of that winning more second balls – and then playing more and better football in the moments where we got the ball. That was much better in the second half and we were then really difficult, with a constant threat in your mind [for City] that you know each ball you lose is really difficult to defend again. That helps. The boys deserve the semi-final. I really think [City] are the best team in the world at the moment. But I knew we could beat them. But that doesn’t make us the better team, it’s football. It’s the cool thing in the game, that it’s still possible. It only makes it difficult and it will be difficult in the semis as well, 100 per cent. But we are now in the semis and first of all we should enjoy the moment because it’s obviously a while ago that Liverpool were in the semis. It was a while ago that I was in the semis. Now we are there together – so that’s quite a cool moment and I’m really happy about it. He is in an outstanding moment. It was his birthday today and he gave himself the best present with a fantastic performance. He is so important for us. I didn’t see the situation 100 per cent when he got the yellow card, but I am pretty sure he slipped in the moment. It was unlucky. Then, playing our kind of pressing style against a constantly attacking team like City and not being even close to another yellow, that’s really cool. Mo scored the first goal and we love the boy, all good, but the hard work that Bobby Firmino and Sadio did on offensive wings [was important]. That’s how football should be. If you are in a better moment, Mo became fit yesterday if you want but was maybe not at 100 per cent, you always have to start trusting your muscle again. Sadio Mane is in outstanding shape in the moment and that obviously helps us a lot. Without the boys being in a good shape, you cannot go to the semi-finals. They fought so hard tonight, it was unbelievable. After a really difficult start, it is the best lesson for life – you always want that things start well and then to get even better. Our day started not too good, but we are still here and that’s a big lesson to learn. It was nice that we could clear it tonight. I liked the second half at Anfield a little bit more than the first half here tonight, to be honest! But we’ve matured constantly, that’s true. The boys get more and more used to situations like this. If you could say anything bad about us in the past, the last few months, then it’s that on a good day we beat everybody and on an average day we lose with cheap goals. Obviously we have worked on that; it’s all about confidence, being convinced about what you are doing and stuff like that. We did it, but on the other side it is always like this. Yes, if the ball is here or there around the box, in the box, you need to defend it, but it should not happen that often. That only works if you have the ball and then you have to do something with it. We are still in a development phase, that’s how it is, but already a good team. I walked up the stairs and somebody told me [Roma had gone through] – I really thought it was a joke. Not that I don’t respect Roma, the absolute opposite. They have a fantastic team – Edin Dzeko, wow. They lost Mo Salah and they are in the semis, that’s quite a big thing. I cannot say anything about the game, I didn’t expect it before the game but I knew it was possible. This competition is quite fair and I really think a normal final would have been Manchester City against Barcelona, and now they are both out. But there will still be two other really strong teams in there plus Roma and us. We will see what happens but that’s not the thing I have to think about tonight. I have absolutely no interest in comparing us. Barcelona, Bayern, Real Madrid, they win everything in the last 20 years. In the same time we pretty much didn’t win anything as a club. You will not become a winner overnight – it happens from time to time, but it’s never really on a basis, it’s a coincidence and a little bit of luck. We only can develop. This league is unbelievably strong, this competition is unbelievably strong. You cannot imagine how much intensity you feel before a game like this. Everybody wrote me a message – ‘I will watch the game here, I will watch the game there, I will have a beer together with friends…’ I would really like to do that as well, to drink a beer and watch a Champions League game. Unfortunately, it is always work. It’s all good but it’s not that you can enjoy it completely, but I don’t care who is in [the competition]. We are here and we deserved it, and I am really happy about that. So far, we fought for each opportunity to get it – and then to use it is so hard. But that’s what we will do. The other teams will have their targets as well when we meet them in the semis; I think they are not without ambitions.